On my trip to Paris, mixing a little business with pleasure, I’ve noticed that there are quite a few retailers with Macs at the front counter. Less so in the big money / “touristy” areas like the Champs-Elysées, but more so in the smaller parts of town like Saint Germain des Prés– about 1 in 5 of the boutiques I encountered had a Mac of some kind front-and-centre. 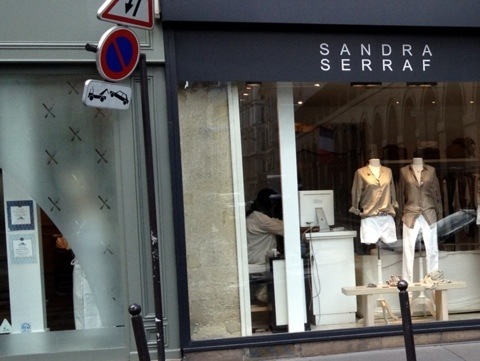 These smaller parts of town where the smaller boutiques thrive are the heart of Paris. The place where the real people and culture come together. The merchants do a good business and are revered by the local people. Talking with one of these merchants, at the place pictured above, she was unaware that there was a POS system for the Mac. At her store, they’re using a Windows based POS in a Virtual Machine. When I explained LightSpeed to her, she was delighted, expressing her love for her Mac. From the beautiful ladies prêt-à-porter boutiques to wine merchants run by the same family for generations– clearly, in Paris, the Mac is valued for its gorgeous design and functionality.